Nothing to see here! This is just a test of the emergency blog post service… Carry on! Your lead jig, stuck in my fish! 3. You should also know that I caught said 4+ lb bass on a fly that might be 1/4 the size of your lead monstrosity. Think a Conehead Bunny Muddler in a size 6, but not! To add more insult to your injury… Aforementioned fly was attached firmly to the end of my 5 wt fly line, latched onto my 8’6″ 5wt Orvis TLS Power Matrix, mid flex fly rod. Insert your favorite gear casting insult here; ____________________________! 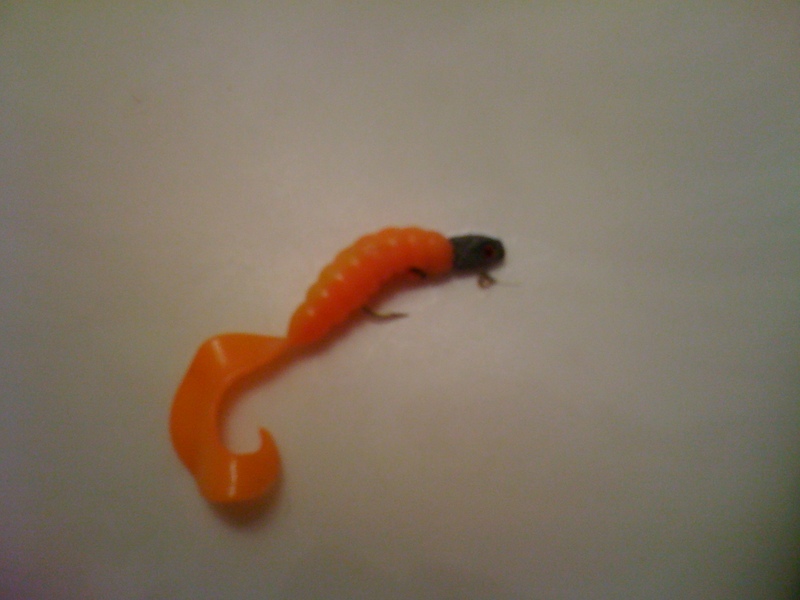 Thanks for playing along, go buy some lead free tackle… (and maybe, just maybe) I’ll let you come fly fishing with me. 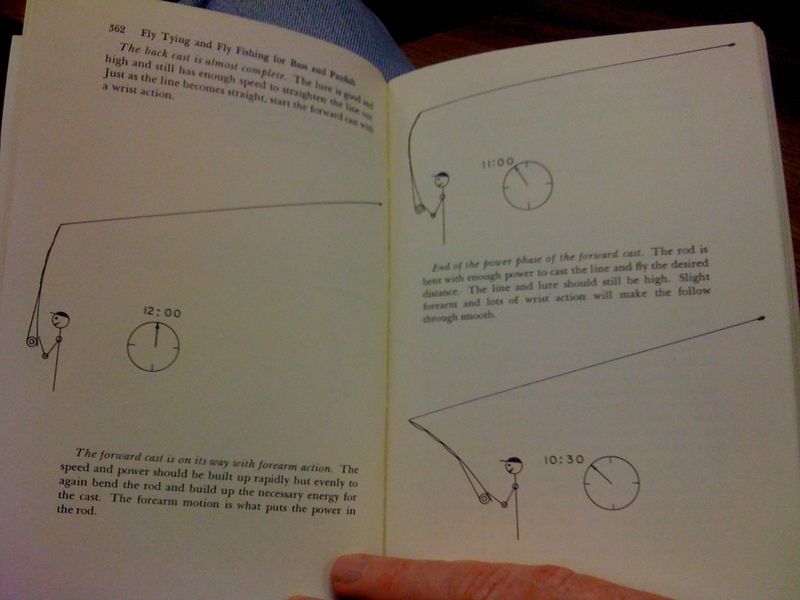 Thanks for playing along, now let’s go Fly Fishing! Thanks for playing along! Anybody got a corndog? I’ve decided it’s time to take the plunge and get serious about this desire to build bamboo fly rods. I have no idea where to start, the interwebs are full of useful or useless information. There are magazines, videos and books. There are classes and experienced rod builders to learn from. But more importantly, there’s my farm-boy upbringing that is screaming “JUST DO IT”!!! Casting A Spell – The Bamboo Fly Rod and the American Pursuit of Perfection, by George Black. And. 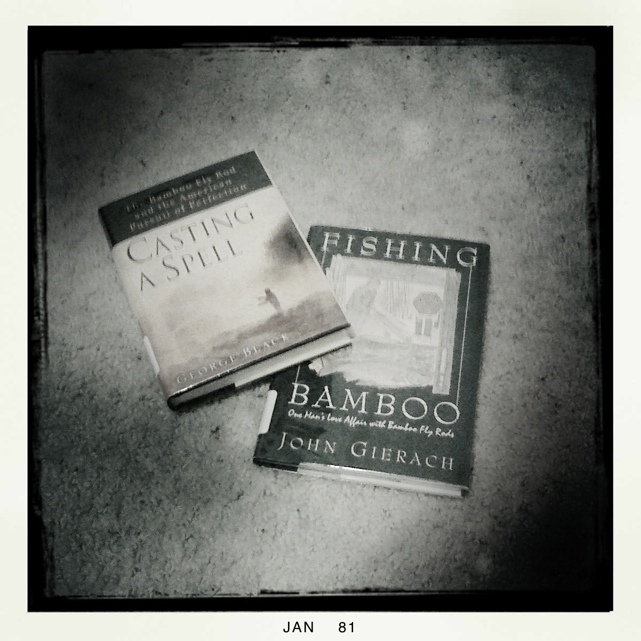 Fishing Bamboo – One Mans Love Affair with Bamboo Fly Rods, by John Gierach. 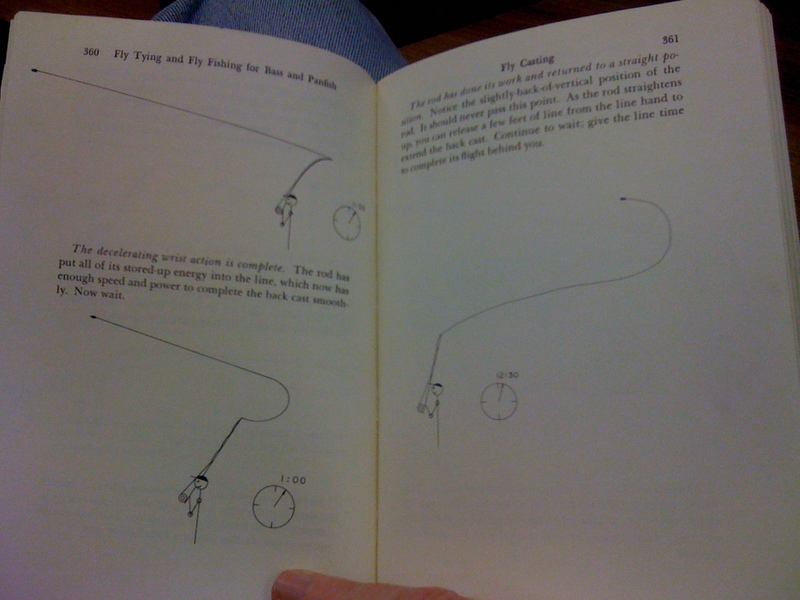 I came across a great book at the library on Saturday… Fly Tying and Fly Fishing for Bass by Tom Nixon Second Edition. Judging by the price of this book on Amazon I’ll probably be going back soon to check it out. 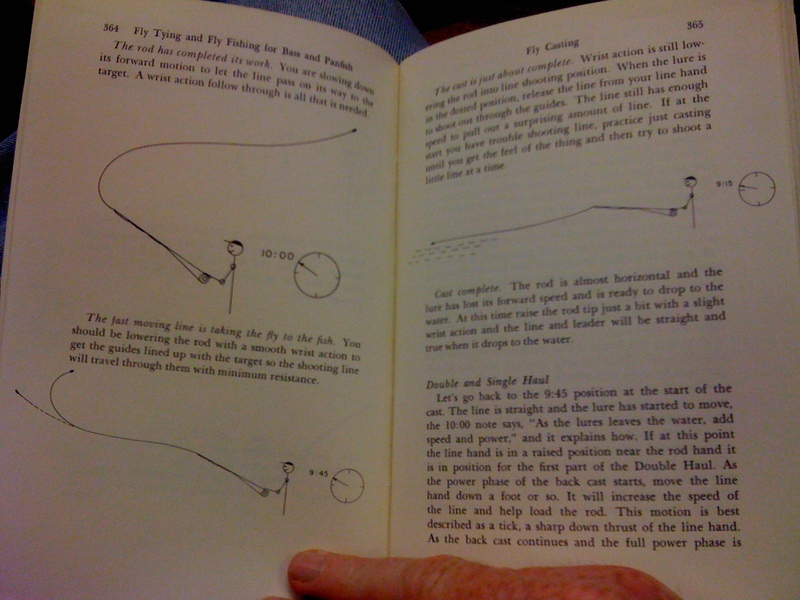 At first look the book looked a little cheesy, but after I turned a few pages, I quickly realized that even the dated information in the book, was still relevant to bass fishing on the fly today. 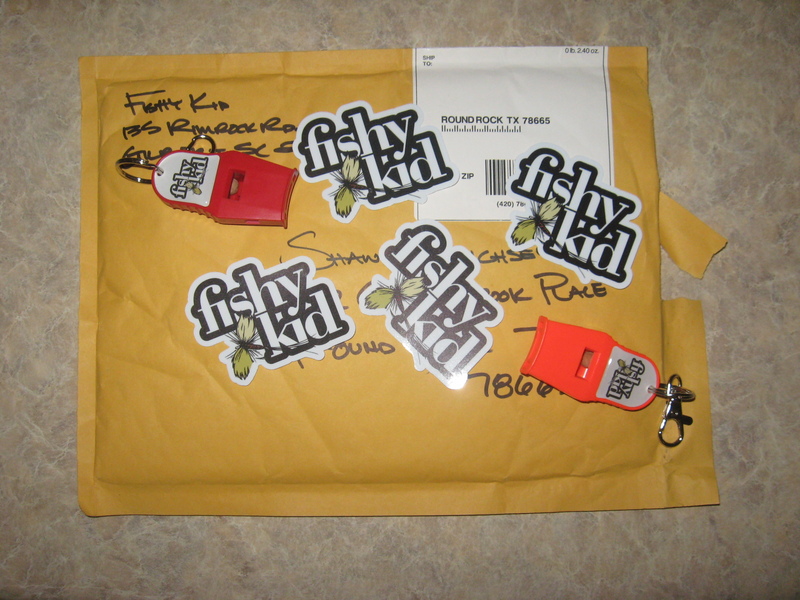 Great fly patterns, instructions and material list, even details on some flies with… dare I say it… Spinners. He showed me some basics and in the river we went… Moral of that story is this “Cast however you feel comfortable!” I mentioned the casting section of the book. See the pics below. 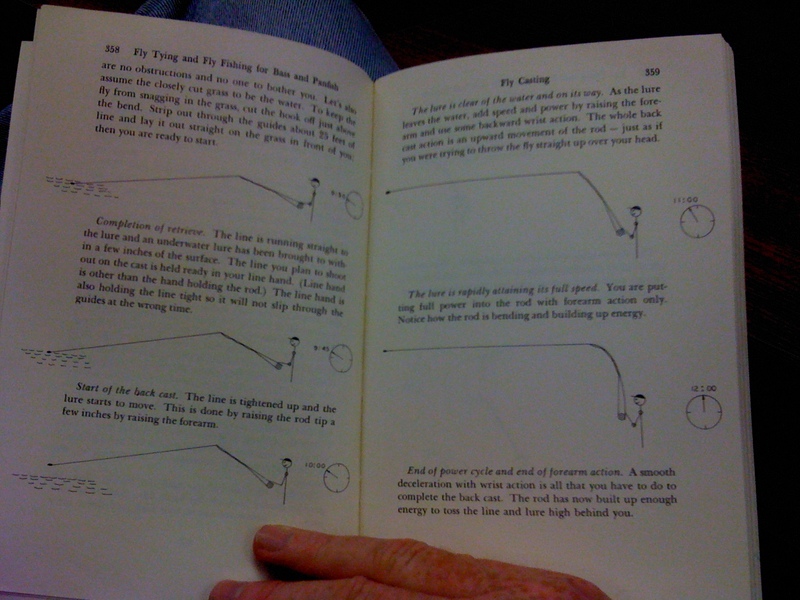 It very closely resembles how I cast, when I’m not side arm casting all Lefty Kreh (video) elbow on the shelf style… And the stick figures are just the ‘essence’ of awesome! I came across the Texas Parks and Wildlife’s list of their Top 10 Conservation News Stories of 2010. Although, not all conservation related, I felt compelled to comment on a few of the stories they mentioned. While I whole heartedly agree with the BP Oil Spill and the Deepwater Horizon disaster being #1, this year and likely will be for the next couple of years. I am certain that the Gulf Coast region and the local fisherman who survive off of this fishery will face many unforseen and unfortunate repercussions from this disaster for many years to come. That being said… I also whole heartedly agree that mother nature is an amazing creature. I guarantee that she will do everything in her power to turn this region back into the thriving and bustling fishery it was before this incident. The solving of 18 year old, Justin Wayne Roberts, 8-year-old “murder” case is an amazing story. A prime example of someones guilty conscience getting the better of them and stepping up and doing the right thing, in coming forward with information on the case. Giving his family the closure that I am sure they were looking for. If you don’t know the story; Justin and 2 of his classmates were run over by a another boat while they were fishing, at night, on Lake Buchanan, TX. See the link for more info! I know there are others… The flooding caused by Tropical Storm Hermine, some hurricanes in South Texas and the lack of rain in the last quarter of the year come to mind. If you have others, I would like to hear them. Thanks for playing along, see you on the outside… doing whatever it is you do on the outside! "Click the Pic to see 5 more"
I have searched the interwebs far and wide for specific information on these things, but couldn’t find a link as a definitive source to post here. Where are they? On the South Fork of the San Gabriel River, west of US 183, just north of Leander, TX. (If you want more specifics, post a comment or look at the geocache link above) What I did learn is that they were made from a typical bipedal (walks on 2 rear legs) tridactyl (3 toed) dinosaur made anywhere from 80 million to 100 million years ago. Date range is purely an uneducated redneck guess based on things I read regarding Dinosaur Valley State Park near Glen Rose, Texas. The pictures are the most defined tracks at this particular location, but there is another set just down stream of these, that I have yet to find. However, I have requested more information on this second set from a trusted, fellow fly fisher, who knows the San Gabriel River well. Thanks for playing along, even though its not always about Fly Fishing! 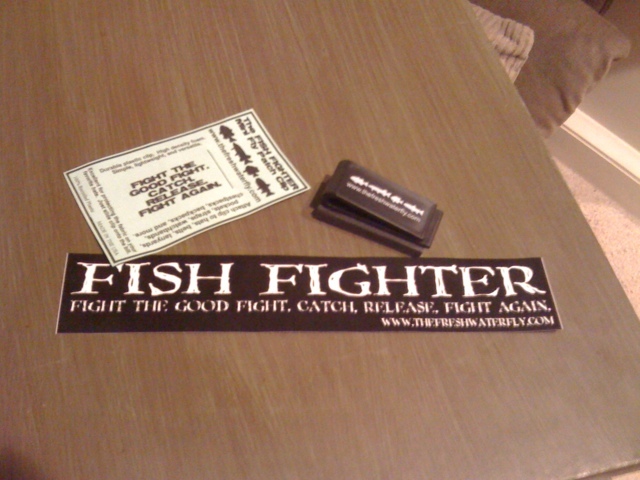 Received my Fishy Kid, Whistle For Life whistles and stickers today. Check out the sites and show some appreciation to these guys for all they do to get kids and their parents outside and on the water, all while keeping them safe in the process! I live for a swag! Thanks for playing along, gonna go outside and toot my own whistle for a while! 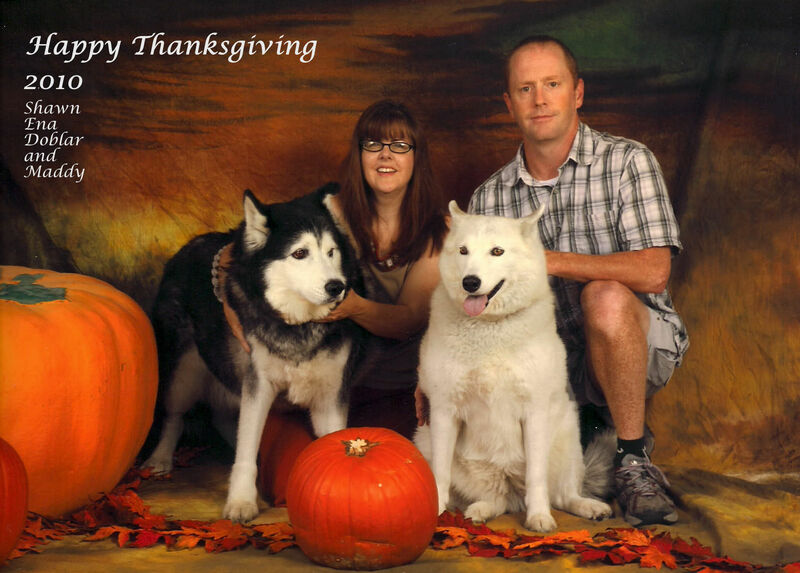 Happy Thanksgiving from Texas FlyLines World HQ! The Turkeys almost ready, the fixins are making their way to the table, pies have been taste tested and the dogs are lying in wait for what ever hits the floor! May your day be filled with family, friends, food and good times! "The best journeys answer questions, that in the beginning, you didn't even thank to ask."